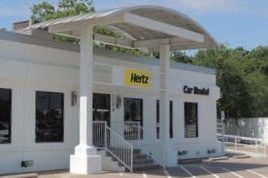 On Friday March 17, Hertz regional manager in Houston, Dan Baker, in discussions with Robert Bauer, agreed to end drive -through traffic from the local dealership saying "I assume that we have been driving through there on many occasions, and I apologize for any trouble that this may have caused. The community will not have any issues from us going forward." On behalf of the community, Bauer shared that "We have good relationships with all our neighboring properties and we will add Hertz to that list." Working together as a community has gone a long way in controlling traffic. If you see business or residential violators, please get a photo and a license plate number and we will file criminal trespass warning. These have been very effective. See "download" information for written documentation.